This post is overdue, but still on time. The hype I saw was good enough to pull your jaded Wintermute into this Cigarette Girl movie trip. Before I subject you to the seductive imagery that sucked me in, I want to slip in a couple of comments (please don't even click any of my links just yet). Akhir-akhir ini banyak sekali yang membuat templete blogger dengan berbagai view dan bentuk dari yang sederhana sampai yang rumit, dari yang hanya satu kolom sampai yang ada 4 kolom. Pertama kali saya mengenal templete secara detail dari blognya kang rohman. Terima kasih kang atas tutorialnya yang lengkap meskipun saya tidak baca semua, ya... minimal ada yang bisa digunakan untuk mempercantik tampilan blog. Templete hasil karya kang rohman sudah lumayan banyak juga dan sengaja saya koleksi di collector templete untuk sewaktu-waktu bisa digunakan. Melihat dan membongkar templete blogger yang pernah ditemui, templete blogger dibuat dalam format XML atau singkatan dari eXtensible Markup Language dan penuh dengan code CSS atau singkatan dari Cascading Style Sheets. Nah modifikasi yang sering saya lakukan pada templete hasil karya orang lain yang salah satunya hasil akrya kang rohman adalah pada kode CSS-nya karena pada dasarnya kode yang lainnya bisa diinput pada widget yang ada dan perlu belajar kode tertentu lagi seperti kode huruf berjalan dengan marque dan lain sebagainya. This is font size 16.
yang artinya deklarasi CSS disimpan pada file "external-stylesheet.css". Nah yang sering dipakai pada templete blogger dengan format XML adalah Embeded dimana kode CSS dideklarasikan didalam tags haed. 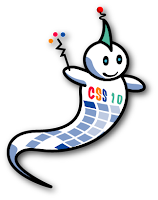 Demikian dulu artikel belajar CSS awal, nanti pas dapat yang baru diupdate kembali. Not many of us realized that the PDF (Portable Document Format - the file which encapsulates a complete description of a fixed-layout 2-D document) documents can be edited and most of all can be fill up with texts and figures (type on a pdf file) after it has been created. This is because most of us only have the 'Reader' for the purpose of viewing the pdf documents that we've received from someone. In other words, we could not amend, edit or modify the documents using the "Reader". 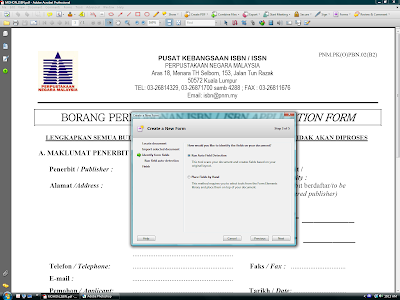 There are plenty of free pdf reader/viewer available such as Adobe Reader, Foxit Reader, PDF XChange Viewer, Sumatra PDF and so on. In our daily live as a students, government servants, office workers etc., sometime we have came across forms that has to be filled repeatedly which has only slight changes in content such as application forms, booking forms, order forms, purchase requests and so forth. Conventionally we have to fill it, print it and hand it over, fax it or post it out. 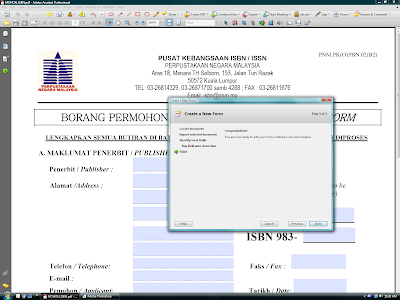 These forms actually can be converted into pdf forms (files) electronically or scanned as images. To make it fillable, we have to modify it or we may create a fresh new form using the Adobe® LiveCycle® Designer (ALD) which is bundled together with the Adobe® Acrobat® Pro (AAP). We may transform any PDF file into an interactive form with various field types and formatting options. 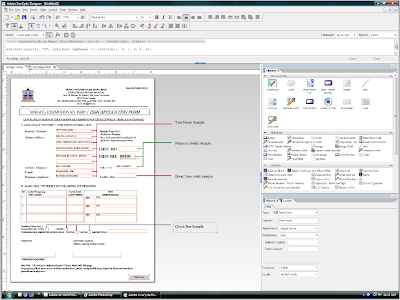 The ALD also use scripting features to add even more functionality to PDF forms. We may say it as an advanced pdfs. Adobe® LiveCycle® Designer software provides robust and intuitive tools for creating interactive forms and personalized documents. With this forms, it will enable anyone using the 'Reader' to fill in and save to pdf forms locally. No more printing and faxing. However in this post, I will show you how to create a simple fillable PDF form using Adobe Acrobat Professional 8.0 and Adobe LiveCycle Designer from an electronically converted pdf document such as a pdf document converted from Microsoft Word. Let us have a sample of a pdf document to work with. 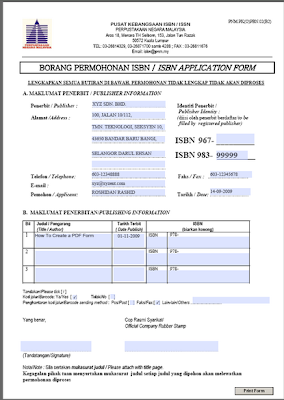 For example this application form which was downloaded from Perpustakaan Negara Malaysia for publisher to apply the ISBN for their publications. The Pop up menu of 'How would you like to create your interactive form' will appear on the screen. There are four options to select from (i.e., i- Select a template; ii- Start with an electronic document; iii- Import data from a spreadsheet; iv-Scan from paper). 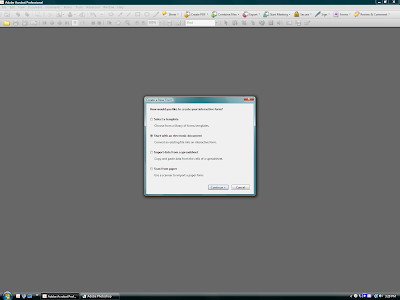 In this example we select the second option and click 'Continue'. 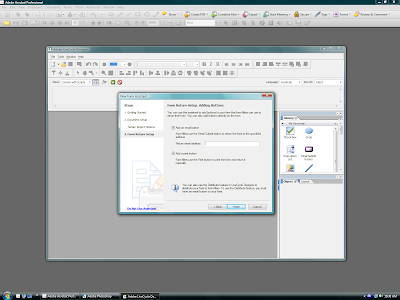 Then another pop up of the info about creating and distributing forms will appear. Just click 'Continue'. 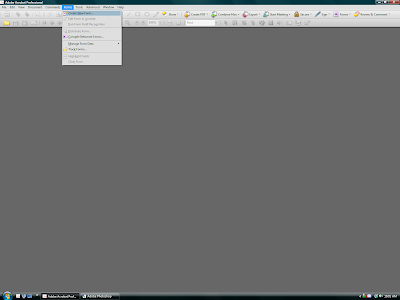 Another pop up menu will appear for locating the document. Locate the downloaded document by browsing our hard disk and open that particular file. Then click 'Next'. AAP will import the selected document and created a new pdf document. Then click 'Next'. Another pop up will appear. On this menu, we have to decide how we would like to identify the fields on our document. Choose 'Run Auto Field Detection' and click 'Next' and then 'Next' again. Form fields are automatically recognized and converted to fillable fields. Congratulation! We've succeeded in creating a new fillable pdf document using AAP. The bluish fields on the document that we've just created represent the fillable areas. Now we are ready to edit our document in ALD. By clicking 'Done' our works in AAP end here. 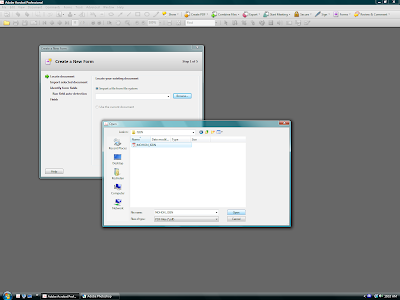 Immediately, ALD will pop opened on the screen with a 'New Form Assistant' menu, showing the third step of the Form Return Setup (i.e, Adding buttons). The first and the second step has been done using the AAP. We have two option here. To add an 'email' button and/or a 'print' button. In this simple example, I decided just to add the 'print' button and unchecked the option for an 'email' button and click 'Finish'. Now we have a document with a fillable fields in ALD that need to be modified. The document can be edited by deleting unwanted fields and inserting additional fields and adjust them to suit our need. In the 'Design View' tab of the ALD, we can just drag in the Text fields, Numeric Fields, Date/Time Fields, Document Signature Fields, Image Fields and much more from the Library. After we've added the text fields to the form design, we may edit the caption text and manipulate the object’s properties in the Field, Value, and Binding tabs of the Object palette. We may also define their properties. For example, predefine some fields such as name, address, telephone numbers and so on by inserting the default text on the 'Value' tab. This field however can still be change or edited after the form has been created. We may preview our fillable pdf form by clicking the 'Preview PDF' tab next to the 'Design View' tab. Finally, if everything is set to our satisfaction, we may save the document and the document now is a fillable pdf document. Look at this form after it has been modified and makes fillable. Isn't it nice and convenience? Click on it and down load to give it a try and good luck. You may use product such as PDFPRO to convert easily your office document to pdf within seconds. Bill Haslam: Prepared to Lead? I'm not the tennrogerthat who posted this on YouTube, and I have to tip my hat once again to the indefatigable Kleinheider. I don't know this guy, but I found his performance rather strange for a guy running for Governor of Tennessee. Assalaamu'alaikum manit taba'a al Hudaa amma ba'du..
sangat sejuk tanpa harus mendengar suara dentuman bom atau desingan peluru, atau ketakutan dari bom fosfor dari kafir penjajah Amerika Serikat, Israel, dan kafir harbi muharriban fi'lan lainnya. kesabaran bagi kita semua, hingga kita kembali di JannahNya bersama. Kami berharap limpahan doa dari mama agar mampu menjadi wanita sholehah sebagai syafa'at mama ketika hari perhitungan kelak... Selalu ada doa yang tertuang di penghujung malam untuk keluarga tercinta. Rasulullah Shallallahu ‘alaihi wa sallam dlm hadits ‘Aisyah radhiyallahu ‘anha: "Barangsiapa yang diberi cobaan dengan anak perempuan kemudian ia berbuat baik pada mereka maka mereka akan menjadi penghalang dari api neraka". Abdullah bin ‘Abbas radhiyallahu ‘anhuma juga meriwayatkan dari beliau Shallallahu ‘alaihi wa sallam: "Tidaklah seorang muslim yg memiliki dua anak perempuan yang telah dewasa lalu dia berbuat baik pada kedua kecuali mereka berdua akan memasukkan ke dalam surga". kemuliaan orang yang mulia atau kehinaan orang yang hina. Kemuliaan yang dengannya Alloh memuliakan Islam dan kehinaan yang dengannya Alloh menghinakan kekafiran" (HR. Ahmad, Ath-Thabrani, Al Hakim, Ibnu Mandah dan Ibnu Hiban). and I'm just a piece of dust..
Eleven months and four seasons in the French Riviera plus altogether 1,5 years in France and still not fed up. Like Hong Kong and Brazil, France is one of the countries we are likely to return. If you are heading to the South of France and wondering what would be the best time to go, we recommend spring (March-June) when the area is less crowded and windy. Summer is nice, but there are far too many people. Beaches are jam-packed and traffic can be chaotic. We started our Provence-Alpes-Côte d'Azur tour from Marseilles. Many French people dream of living at least one year in this lively port city. 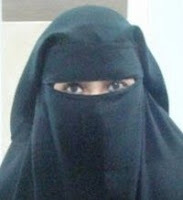 There are a lot of immigrants which is why the city is also called "Ville arabe", Arabic city. Some parts of the city look like bazaars with street markets and rubbish all around. The city is not particularly clean, but it sure is lively. Marseilles is a sunny city, but when the wind was blowing, we really had to concentrate in keeping our feet on the ground. Nice is different with its own micro climate. It is open to the sea, but protected from the wind by surrounding hills. In general, the climate in the Riviera is mild even in winter. In December some people were taking sunbaths and even swimming when the rest of France was shivering in the cold. Marseilles and Nice could not be any different. One is loved by the French and the other by tourists. Nice is considered posh by many French people, but tourists love it, obviously because of its climate. There are lots of flights from all over Europe to the tiny airport. In Nice we rented an apartment with Päivi's parents. The city is very touristy all year round and does not feel very French at all, in fact, but rather like an Italian city. The famous beach boulevard, Boulevard des Anglais, is perfect for walking or jogging. On Sundays everybody is there to see and be seen. Public transportation in Nice area is functional. There are frequent bus connections to all neighbouring cities including Monaco and Menton. A single trip costs one euro whatever the distance. Moreover, when going eastwards, there are superb views over the Mediterranean sea. Little towns follow one another and are worth a hop-on-hop-off bus tour. Päivi especially enjoyed Saint-Jean Cap Ferrat, where you can hike around the small peninsula. From Nice we moved on to Toulon where we stayed the following nine months helping our friend Patrice with his renovation work, and writing books. We finished two manuscripts, a thriller called Back door (Takaportti in Finnish) which will come out on the 29th of September and a book on couple relationships called Happy Together (Onnelliset yhdessä) for which we are looking for a publisher if we choose not to publish it ourselves. Both books are in Finnish. Toulon has a more French feeling to it compared to Nice. Some people think it is not part of the wealthy Riviera despite its geographical location in the area. There are a lot of unemployed people and immigrants from Africa. The city is not snobbish but a perfectly ordinary French city that just happens to be on the Mediterranean coastline. Toulon hosts the French Mediterranean navy with some huge war ships including their crown jewel: the aircraft carrier Charles de Gaulle. We enjoyed daily walks to the nearby mountain, Mont Faron, which is peaceful all year round. The French seem to appreciate more beaches than mountains. There are numerous little paths and roads circulating the mountain so we could select a different route every time. There is also a nice picnic area on top, in a pine tree forest. Cars are the only nuisance. Even when going for a hike, the French have a compulsary need to use their precious tin cans. Apart from walks we had lazy days cooking, washing dishes, watching films, reading and playing computer games. The weather was sunny most of the year. In winter it sometimes got bitingly cold because of the Mistral wind that is blowing from the The Rhône valley. Springtime was cool and summer warm and dry. There is very little rain, but the wind is quite often strong, sometimes more than 100 km/h, which is rather annoying. Houses are howling and banging because insulation is not particularly well done. Climate change has effected area which can be seen on the beaches. There are poisonous jellyfish and sometimes swimming is prohibited. Pollution in the city is occasionally quite high, especially on work days when everybody is rushing to work by car. We lived in the city centre and it took a while to get used to the noise and pollution. Now we are heading to discover some smaller cities with a bit less traffic and noise. Perhaps after some more silent times we will long back. This reminds us a bit of what happened with Sony Imagestation. First they stopped fixing critical bugs and a few months later they announced running their service down. 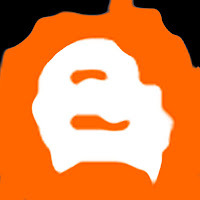 So, we are open to suggestions about other web logging platforms to replace Google's Blogger. Sorry for the inconvenience and thank your for you understanding and tips. Stenographers : 25 posts, Pay Scale : Rs.5800-9200, Age : 21-20 years, Qualification : Graduate from a recognised university, should have speed of 100 wpm in English Shorthand and speed of 20 wpm on computer. How to Apply : Candidates may apply in the prescribed format to the Registrar, High Court of Punjab and Haryana, Chandigarh on or before 30/09/2009. Applications on prescribed form are invited for the following posts so as to reach the Deputy Registrar (Establishment) Punjabi University, Patiala-147002 by 22/09/2009. Please visit http://www.punjabiuniversity.ac.in/pages/announcement.html for details and application form. How to Apply : Duly filled online application form complete in all respects and supported by attested copies of certificates along with an application fee (except SC, ST, PWD and regular employees of CSIR) of Rs.100/- in the form of DD in favour of Director, NISCAIR, payable at New Delhi should be sent in a sealed cover superscribed with "Application for the post of (Post Code and Category) to: The Controller of Administration, National Institute of Science Communication and Information Resources (NISCAIR), Pusa Campus, Dr. K S Krishnan Marg, New Delhi –110012, so as to reach on or before 15/10/2009. How to Apply : Duly filled online application form complete in all respects and supported by attested copies of certificates along with an application fee (except SC, ST, PWD and regular employees of CSIR) of Rs.100/- in the form of DD in favour of Director, NISCAIR, payable at New Delhi should be sent in a sealed cover superscribed with "Application for the post of Scientist Group-IV(1) & Technical Group II(1) (Post Code and Category) to: The Controller of Administration, National Institute of Science Communication and Information Resources (NISCAIR), Pusa Campus, Dr. K S Krishnan Marg, New Delhi –110012, so as to reach on or before 15/10/2009. Situated at Greater Noida, GBU is sponsored by the New Okhla Industrial Development Authority (NOIDA) and the Greater Noida Industrial Development Authority (GNIDA) and is supported by Government of Uttar Pradesh. How to Apply : Applications in the prescribed format should be sent to The Registrar, Gautam Buddha University, Greater Noida - 201308 (UP) latest by 30/09/2009. Applications are invited in the prescribed form for filling up the following posts of Teachers & Service Personnel from the candidates who are qualified as on the last date fixed for receipt of applications in the University of Horticultural Sciences, Bagalkot. Application Fee : Demand Draft for Rs.400/- (For SC/ST Rs.200/- only) payable to The Comptroller, University of Horticultural Sciences, Navanagar, Bagalkot. How to Apply : Filled-in applications in prescribed format together with copies of testimonials should also be sent in an envelope, superscribing on it, “Application for the post of ________________” to The Registrar, University of Horticultural Sciences (UHS), Sector No. 60, Navanagar, Bagalkot- 587102 (Karnataka) on or before 29/09/2009. Please visit http://bagalkot.nic.in/UHS/hortmain.htm for details and application form. Gempa yang terjadi sekira pukul 14.55 WIB langsung menjadi perbincangan hangat di situs jejaring sosial seperti Facebook dan Twitter. Hanya selang beberapa menit setelah gempa terjadi, komunitas pengguna Twitter ramai membicarakan hal ini. Pantauan okezone, Rabu (2/9/2009), Twitter menampilkan earthquake yang langsung menempati urutan keempat dalam Trending Topic. "A Tsunami watch is in effect for Indonesia following a major 7.3 magnitude earthquake 150 miles from Jakarta," demikian isi Tweet yang ditulis salah seorang pengguna Twitter. Sementara pengguna Twitter lainnya ada pula yang mengingatkan akan potensi terjadinya gempa susulan. Gempa yang dirasakan sangat kuat di Jakarta ini memiliki kekuatan 7,3 SR dan berpusat di kawasan Tasikmalaya, Jawa Barat. Bila tidak ada, lindungilah kepala dengan bantal atau benda lainnya. Jauhi rak buku, lemari dan jendela kaca. tergantung di dinding dan sebagainya. papan reklame, pohon yang tinggi, dan sebagainya. Jauhi rak-rak dan jendela kaca. Segera hentikan di tempat yang terbuka. Indian Tourism Development Corporation (ITDC) Ltd.
How to Apply : Interested candidates meeting the above criteria may send their Bio-data and DD for Rs.100/- (candidates belonging to SC/ST/OBC/PH are exempted from this payment) in favour of India Tourism Development Corporation Limited payable at New Delhi may be sent within 15 days (i.e. 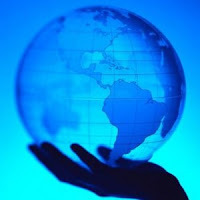 upto 16/09/2009) to Vice President (HR), India Tourism Development Corporation Limited, Room no. 407, 4th floor, SCOPE Complex, Core-8, 7-Lodi Road, New Delhi-110003. Age : 45 years as on 1st September, 2009, age limit is relaxable upto 5 years in case of SC/ST certificates & 3 years in case of OBC's. Age can be further relaxed for deserving candidates. Application Fee : DD of Rs.500/- (Rs.250/- for SC/ST candidates) in favour of The Director, Rajendra Institute of Medical Sciences, Ranchi. How to Apply : Application should be sent to The Director, RIMS, Bariatu, Ranchi - 834009 on or before 12/09/2009 by Speed post/ Registered post only. How to Apply : Application Form in the prescribed format may be sent to The Section Officer, Recruitment Cell, Room No. 131, Administrative Block, Jawaharlal Nehru University, New Delhi – 110067 on or before 30/09/2009. How to Apply : Typewritten Application in the prescribed format only super scribing the post applied for on the cover along with a recent passport size photograph affixed on right hand top corner with attested copies of all certificates should be forwarded to the H.R.D. Officer, Tata Memorial Hospital, Parel, Mumbai – 400012 so as to reach him on or before 18/09/2009. NID is Internationally acclaimed as one of the foremost multi-campus educational and research Institutions for Industrial, Communication, Textile and IT integrated design. How to Apply : Those interested may apply with detailed Bio-data in prescribed format to the Secretary and Head, General Administration, NID (e-mail : careers@nid.edu) within 10 days. Please http://www.nid.edu/Career.html for details and application format.